Power up and travel on two wheels. With the new Skyline, you will enjoy a comfortable ride and the advantage of our Currie Electro-Drive® PAS/TAG system that allow you to choose throttle only or pedal assist modes of electric power. 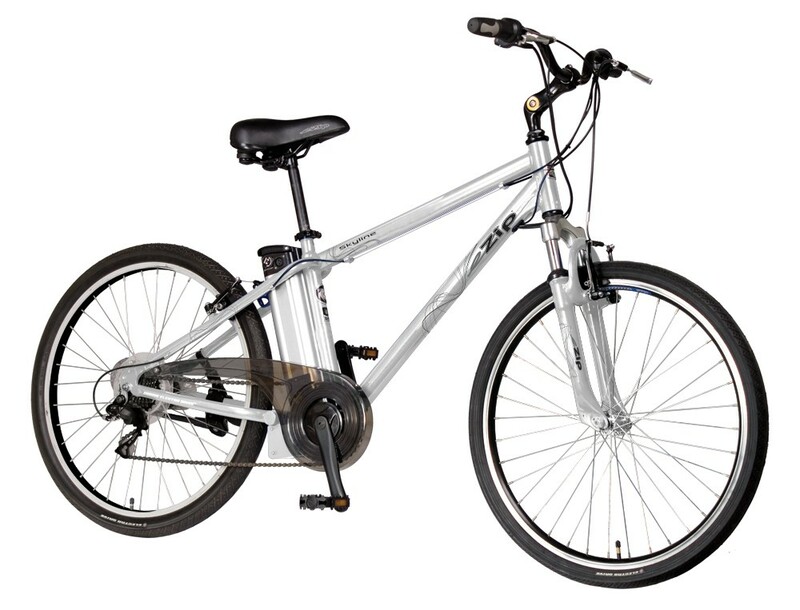 Equipped with a removable advanced Lithium-ion polymer battery pack mounted behind the seat tube, you can easily lock the bike outside and carry the battery pack indoors for charging. A comfort saddle, upright adjustable positioning and a suspension fork to smooth out the road, the Skyline delivers fun and comfort on every ride. Our high torque system flattens hills and allows travel of 15 - 22 mile range at 15+ mph on a single charge. RANGE Up to 15 - 22 Miles / 24 - 35 km with Normal Pedaling (Rider Weight, Rider Input and Terrain Contingent). TIRES Currie Comfort Tires 26" x 1.75"
Allows users to select between two modes. from 50% to full power assist or anywhere in between. operates the motor. Throttle goes from 0% to full power.